The need for affordable, quality after-school and holiday child care was established following a survey of businesses in 1999 and a survey of parents in 2000 carried out by the Dornoch Focus Group. 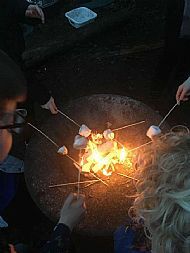 Allsorts After-School Club was established in November 2001, when a pilot scheme was set up in the West Church Hall for eight children, run by the Church of Scotland. A holiday club was run in 2002, but was restricted to afternoons. The pilot scheme ran for one year, after which the club moved to Dornoch Academy and was taken over by a local management committee with grant aid from the Highland Childcare Partnership and the New Opportunities Fund (now the Big Lottery). The funding package allowed the club to expand to 16 children and to provide full day cover in the holidays. As Dornoch is a tourist destination, peak employment occurs during the summer months and the availability of childcare throughout the day enabled parents to access these opportunities, in the knowledge that their youngsters are being well cared for and having fun. In 2007 the number of child places was increased to 24 to meet demand. In 2010 Allsorts became one of 27 Scottish organisations to obtain funding from Inspiring Scotland's Go Play scheme to introduce regular outdoor free play. 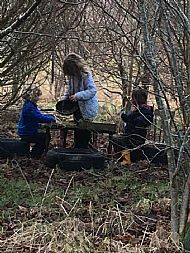 We have been evaluating the impact of free play and can demonstrate that it increases self-confidence, encourages risk taking, developes problem solving skills and generally builds resilience and self-reliance. But most of all it is FUN!